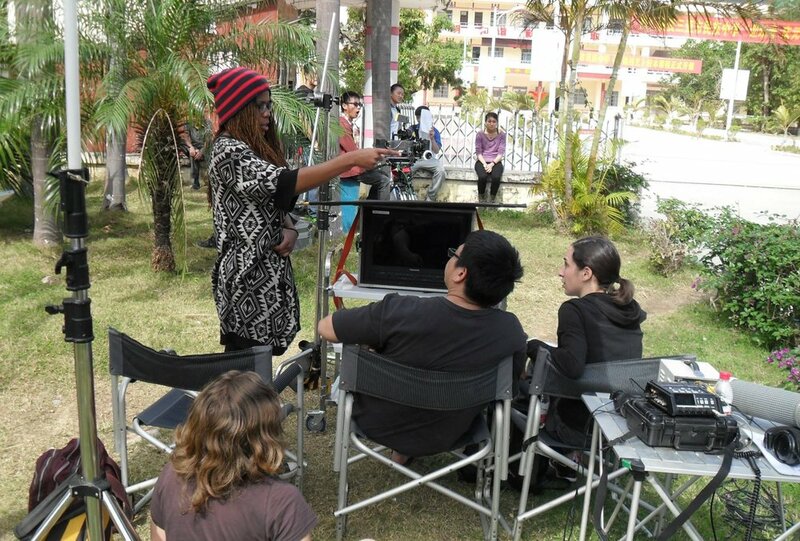 Getting to travel abroad to shoot a film can be a life-enriching experience and a challenging work endeavor. So far in my career I have worked abroad in Europe and China. Both cases were very different productions with different obstacles to consider. Here are some things to keep in mind. Do you need a visa or work permit? Find out if the country you are going to requires an entry visa. Depending on the country it can take weeks or months by the time you get an appointment with an embassy and have your visa processed. As for work permits, usually a large-scale production will have that taken care of for you. If you’re on a small shoot you may have to weigh that decision yourself. If a shoot is small and independently funded or if you are working for free (or nearly) likely it is not worth the trouble of a work permit, saying you are only visiting on vacation should be okay. Do you need any vaccinations? Usually vaccinations need to happen 6-8 weeks before travel. Check if any are required for your destination. Keep in mind if you’re on a location scout or filming near remote areas, filming locations can always change last minute and you may wind up in areas you didn’t initially anticipate. Do yo have your bases covered? Even if production is paying for your trip, thing can always go awry. It is essential to have some local currency in your pocket. To avoid heavy exchange fees, have the currency withdrawn from your U.S. bank account in advance. Also, don’t forget to alert your credit card, phone company, and the U.S. Embassy of travel. Alerting the embassy did come in handy for me while I was in China. Where is the equipment coming from? There are few things worse than lugging boxes of film gear through airports, but sometimes it needs to be done. For expensive or delicate items, travel with a pelican case that will fit inside an overhead bin. If you’re getting your equipment locally make sure you check out the rental houses they are coming from. Some sort of visual inspection will ensure the gear is not too old and worn or knock-off brands . Also keep in mind outlets and voltage are different. Are you working with a local crew? Do they speak English? Having a translator in China was essential to communicating with the crew. If your crew speaks another language, it is helpful to learn some basic words like numbers, directions (higher, lower, backwards, forwards), and social graces (like please and thank you). In my case our translator did not primary work in the film industry so trying to find the translation for some simple things like “apple box” became challenging. It’s okay if you can’t communicate everything and need to physically demonstrate as well. Will you have to interact with locals on set? During production in Europe the crew stayed in groups and primarily filmed in safe areas. The locals were amazing hosts, even whipping us up some fancy espresso on set. In China, some of our locations hadn’t been scouted. On the rare occasion, locals in remote areas were unaccustomed to seeing big cameras, white people, black people, or a crew, which attracted unwanted attention. While we were able to grab some B-Roll on a telephoto lens, ultimately the AD made the decision to leave. If you feel uncomfortable and no one is local to the precise area you are filming, oftentimes it is best to walk away no matter what shots you think you’re missing. Shooting abroad is very fun, but you also need to be safe and be prepared. It is always best to find a friend or acquaintance who has worked in the area you are traveling to in order to get the most direct advice. Sometimes they will come up with things you never would have thought of or researched on your own.